Welcome! I hope the information found here can inspire you in your reading and writing. Thanks for stopping by! Unfortunately I don't have a post for you for today. I've had a basketball-filled weekend and with trying to get Cybils reading done, I'm running out of time! For other great blogs about reading and writing, please check out the links on my right sidebar. Have a great week! I'm a children's author from Southeastern Michigan. I love to read, write and spend time with my family. Many days I can be found doing any or all of these three at a baseball diamond or basketball court. I'm also a huge Detroit Tigers fan! 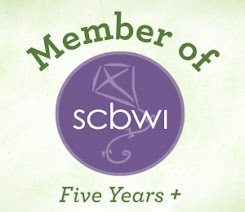 Member of the Michigan region of SCBWI and co-coordinator of the SCBWI MI SE-Mitten Shop Talk. Cybils Awards and Merry Christmas! All content (c) 2011-2018 Jennifer Rumberger. Picture Window theme. Theme images by konradlew. Powered by Blogger.